This is a weird one to write up. The seventy-second, and final, volume of Naruto. For over a decade manga has been defined by the “Big Three” (Bleach / One Piece are the others). Odds are if you’ve ever read anything from Japan, you’ve read at least one of them. And now… one’s over. No more ninjas. End of an era. 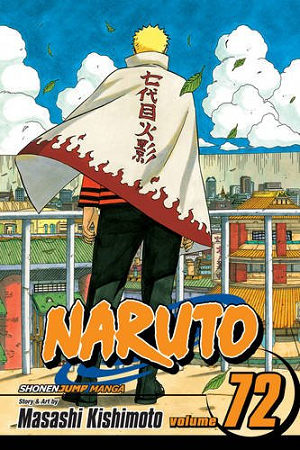 While the first volume of Naruto… well, sucked, honestly, the series soon found its footing. Masashi Kishimoto’s artwork evolved from being ultra-detailed in all the wrong places to production some sublime fights and action scenes. In this final volume… well, there are plot motivations and such, but the bit that will interest fans is the final battle between Sasuke and Naruto, providing a fitting full circle for the series as a whole. As for who wins and what happens next? You’ll have to read to find out. 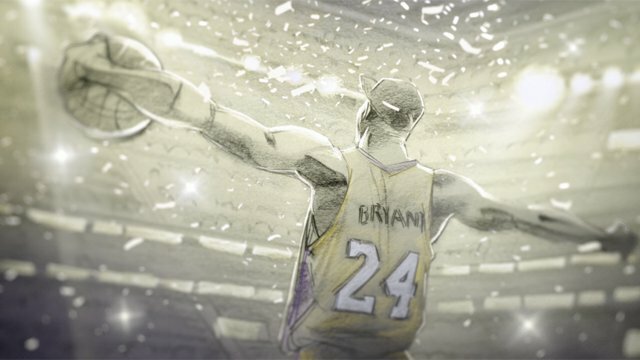 Or have seen one of the million pieces of fan art showing the aftermath. And if you can’t get enough Naruto, don’t forget Boruto will be touring cinemas veeeery soon. The only deubt for Viz this month is Maki Minami’s newest work, Komomo Confiserie. Never heard of it? Or her? Well, she’s probably best known for Voice Over! Seiyuu Academy and Special A, and is one of shojo magazine Hana to Yume’s most prolific contributors. As for Komomo herself? It’s about a once rich girl now with strangers, and the kid she used to bully who’s now become acclaimed in his field of patisserie. There’s also Fragments of Horror, a collection of eight short one-off stories by Junji Itō that he’s drawn over the past decade, which all look fairly boring artistically until the monster unveils itself. If you’re a fan of the genre though, it’s definitely worth checking out. Beyond that, we have new volumes for a bunch of series. There’s Arata: The Legend 23, Assassination Classroom 6, Claymore 27, Hayate the Combat Butler 26, Kimi ni Todoke 22, Kiss of the Rose Princess 6, Library Wars 14, Love Stage!! 3, Magi 14, Master Keaton 4, Pokémon XY 4, Requiem of the Rose King 2, Terra Formars 8, Tokyo Ghoul 3, Toriko 30, Twin Star Exorcists 2, World Trigger 7 and Yu-Gi-Oh! 5D’s 8. For those in the digital Kindle era, you’ve got Boys Over Flowers Season 2 Chapter 13, Cheeky Angel 11 & 12, Chocolate Cosmos 2, Clamp School Detectives 2, Crazy For You 3, Eureka Seven 6, Guardian Hearts 2, Hanako and the Terror of Allegory 1, Hibiki’s Magic 1, Kamiyadori 4, Saber Marionette J 2, Samurai Girl Real Bout High School 4, Sgt. Frog 18 & 19, Tokyo Boys & Girls 3, Tuxedo Gin 5 and Welcome to the N.H.K. 6! Oh, and Weekly Shonen Jump continues to release every Monday with the latest chapters from a bunch of series. And then there’s a few box sets and omnibuses to round off the lineup. Ranma 1/2 10 combines volumes 19 and 20, Monster Perfect Edition 6 the eleventh and twelfth ones, and One Piece 13 gathers 37 to 39. As for box sets, you can pick up the Pokémon Black & White Box Set 3 bundling volumes 15 to 20 into one, and more interestingly, the Claymore Box Set containing the entire 27 volume run for just shy of a hundred quid. Which I’d probably buy if I had the money to spare. Ho hum. 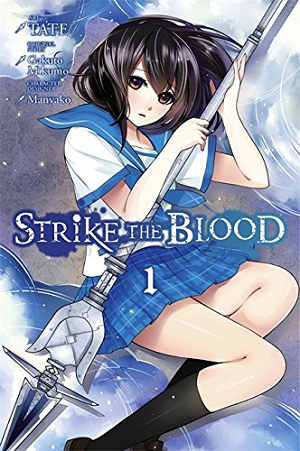 Remember Strike The Blood? Back when we did weekly anime reviews, I made Mike (different one from the dude you know and love on the committee) suffer through this, and I do mean suffer. But how does the manga version hold up? The basic plot involves a vampire who doesn’t like to show off his powers because he’s super special, and then a swordsgirl sent to keep an eye on him, on an island full of the supernaturally inclined. Oh, and there’s fanservice, because apparently that’s one of the sources of his powers and oh boy is that a cliff to throw myself off. The artwork isn’t bad and makes fairly good use of toning, but it’s not what you’d call special, but if you loved the anime, or just want a dose of supernatural harem-ish content, this’ll be for you (but not for me). 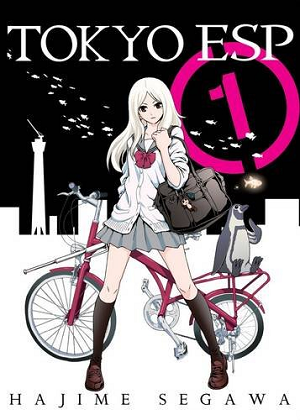 We’ve also got a debut for Horimiya, where a guy and a girl who give off a very different image to who they actually are discover each other’s hidden side, and so the part comedy part s’life hijinks ensue. The art’s simple but charming, and fits the tone, and… actually, I might pick up a volume, now I look at it… And then we have a gorgeous artbook in the form of Yana Toboso Artworks Black Butler, containing 128 full colour pages of amazing artwork featuring Ciel, Sebastian and the rest which is an absolute joy to behold. There’s even a few pieces of RustBlaster art and stuff from other series too. 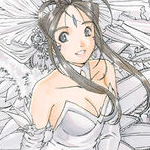 Other Yen Press releases include A Certain Magical Index 3, Accel World 5, Akame Ga Kill! 4, Alice in Murderland 2, Barakamon 7, Final Fantasy Type-0 Side Story: The Ice Reaper 2, First Love Monster 2, Puella Magi Madoka Magica: Homura’s Revenge! 2 and So, I Can’t Play H 3. Kindle owners also get some extra love with The Royal Tutor 4 and Handa-kun 4 (I recognise this artstyle, I thought, and then discovered he also does Barakamon). And for you Light Novel enthusiasts? Enjoy No Game No Life 3 and Sword Art Online Progressive 3. Yep, it’s final…ly… wait, didn’t I cover this already. Yes, I did, one year ago. Did it get delayed? I assume so. Who knows, I just go off what Amazon tells me at the time. Anyway, I’m feeling lazy, so I’ll just repeat what I said then. 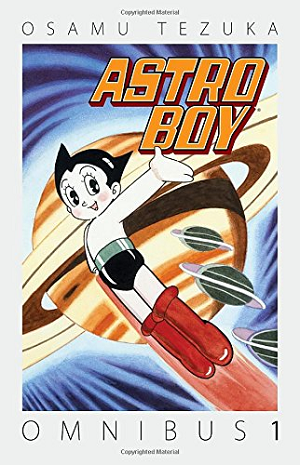 “I refuse to believe if you’re reading this you don’t know what Astro Boy is, but just in case, this is the manga that would go on to be adapted into the first real animated series, spawning the entire genre of anime that we love / hate and adore / loathe (delete as appropriate). 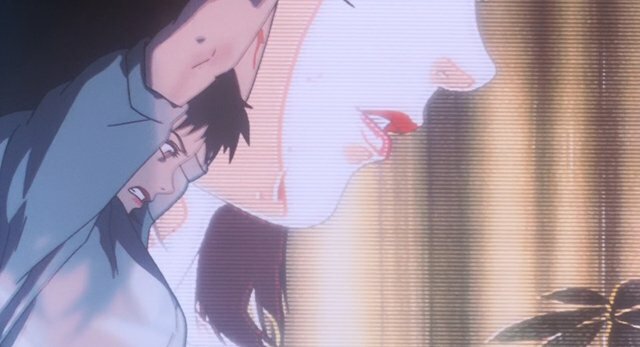 Written by some Osamu Tezuka bloke who may have worked on one or two things over the years, Astro Boy follows the titular robot who was constructed by a scientist to try to replace his dead son. But nobody can fill that void, so he sells him off and eventually the kid winds up with another professor who gives him the love he deserves. So there. It was hard to find other Dark Horse releases this month as they flooded digital services like Kindle ad Comixology with their libraries, as you can check out some Usagi Yojimbo releases on those platforms right now. They also have a couple of physical releases with the forty-eighth and final volume of Oh My Goddess! and some more action in New Lone Wolf and Cub 6. Back in my summer anime impressions, I gave Tokyo ESP the nod. I’ve still not got round to watching it. Man I’m terrible with anime thesedays. Anyway, this series comes from Hajime Segawa, who’s other notable release is Ga-Rei, which ran for 5 years before he moved on to Tokyo ESP. The basic premise involves a couple of kids with low-level telekinetic powers, Rinka Urushiba and Kyotaro Azuma, who end up getting caught in the middle of a city-wide war when a large group of renegade espers, sick of the government’s treatment of them, declares war on regular humankind and attacks parliament. The series has some fairly nice artwork, and the fight scenes (yes, people still punch people) look sweet, but it lacks any real killer edge or standout feature to place it above other series. And then there’s the price point. While it is slightly thicker than usual Vertical releases, £12 per volume is a steep price that will put off a lot of people. There’s also the first volume of Ninja Slayer, which you may remember Trigger recently adapted to a mediocre reception, where two people merge to essentially become the “ninja grim reaper”, and while it has solid artwork, the story never lives up to it. There’s also a special release in The Eternal Zero, BLAH. Rounding out the Vertical lineup is the second (and final) Attack on Titan: The Harsh Mistress of the City novel, Cardfight!! Vanguard 7, Chi’s Sweet Home 12 (the final volume of that series), and Witchcraft Works 7. Apparently there was a Japanese film based on this, who knew? Not me, for sure. 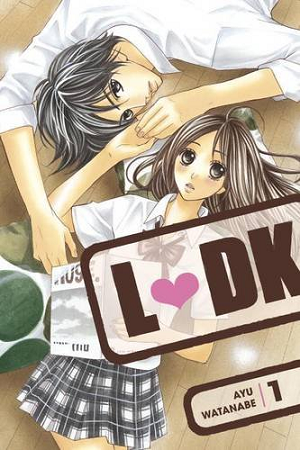 Drawn and written by Ayu Watanabe, who has a long history of romantic shoujo series, this is… a highschool romantic shoujo series. Yep. So, we have the ultra-popular Shusei who has turned down every girl who’s ever asked him out, but then his apartment catches fire, forcing him to move in with Aoi, a girl from his school whom he turned down the best friend of. 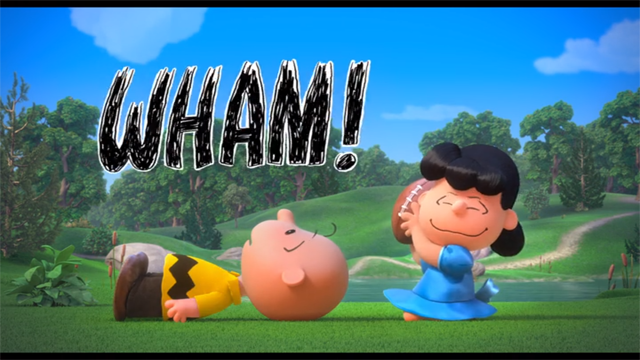 Cue shenanigans! Artwise, it does do a good job of shading and toning and utilising the greys of the monochrome format, but you’ll have seen the character designs a thousand times in other series. And Aoi’s eyes look weird at times, seeming too big for her head. Still, the series has a notable fanbase, so if you want romcom manga, this could be your next purchase. Or just watch the film. Then there’s Fairy Tail 50, which, yes, I did say came out last month but I guess got delayed? I talked about it a fair bit back then too so go read that for more info. Next is Appleseed Alpha, a Shirow Masamune work which you’ll probably remember more for the animated adaptation, and features more of the same dystopia and augmented humans that you’ll know from his other series, Ghost in the Shell. And there’s another debut with Kiss Him, Not Me, in which the main character is chased after by all the boys but wants them to make out with each other. So comedy reverse harem, I assume. Oh, and Kondasha have a selection of continuations for you too, with Genshiken: Second Season 7, Missions of Love 11, Noragami 7, The Seven Deadly Sins 10, Vinland Saga 6 and Your Lie In April 4. Remember the Brothers Grimm? Popularising more well-known folk tales than probably any other writers in history, their legacy still lives on today, even if their names have faded a little. Dictatorial Grimoire uses them as a starting point, focusing on their descendent, Grimm Otogi. As it turns out, the brothers made a contract to sacrifice all their descendents in return for their literary genius (don’t ask how the bloodline survived this far, I don’t know), so Otogi must now fight the cruel twisted monsters from the Grimm Tales or die trying. Luckily he’s got Cinderella to act as a guide for him. A male Cinderella. 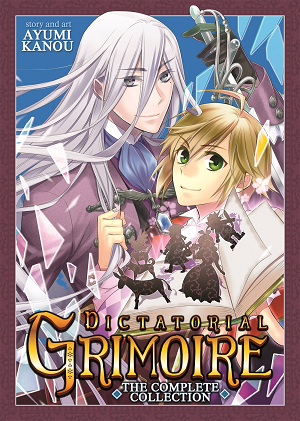 Dictatorial Grimoire is another series that makes good use of toning and shading (you’d swear it was originally released in colour) and the characters all look nice and stylish. The monsters they fight aren’t quite as smooth looking, but certainly from what I’ve seen they don’t seem to be as big a focus as the plot makes out, instead playing up the shoujo elements. And as “Complete Collection” would imply, this does contain all three volumes of the series bundled into one, so if you’re after a series with a definite end that you can blast through in one sitting, maybe this is the one for you. There’s a few more jumbo books too, with Freezing 3&4 and Dance in the Vampire Bund Omnibus 6. 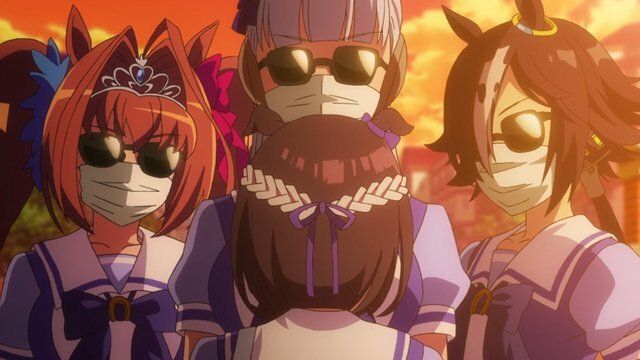 As for lil’ ol’ regular sized releases, we’ve got Amazing Agent Luna 11, D-Frag! 6, Haganai: I Don’t Have Many Friends 12, Non Non Biyori 2, Servamp 3 and The Ancient Magus’ Bride 2 (which I really do want to check out when I get the chance). Just about made it in time! I should hopefully be doing a manga order soon once I’ve got a few final expenses for the year sorted out, so maybe you’ll be seeing some more reviews from me in the next month. 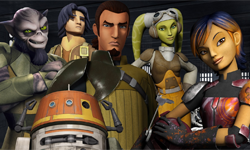 In the meantime, why not vote for the Eastern and Western shows you want to see, as those polls are live on the blog now! And don’t forget about the Twitter, Facebook or the forums. Always cool to chat to people there. Take care everybody!